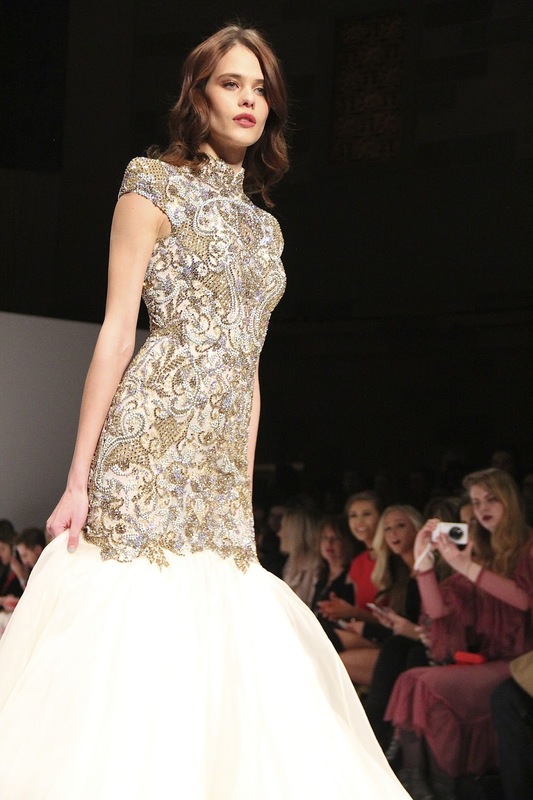 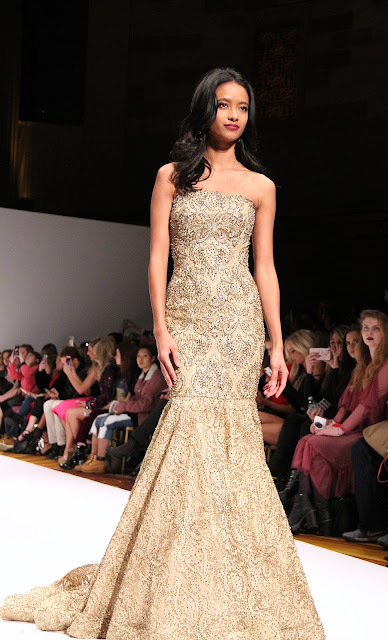 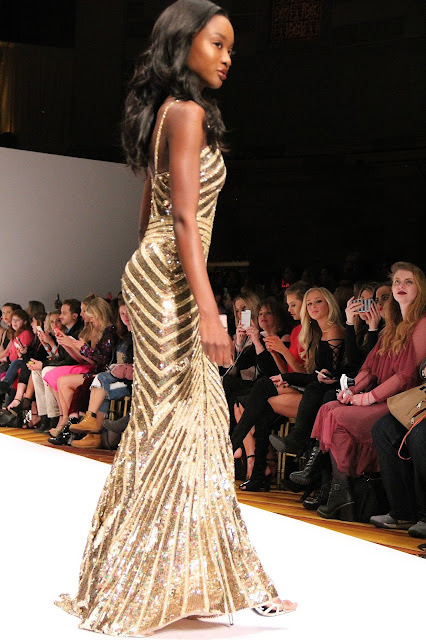 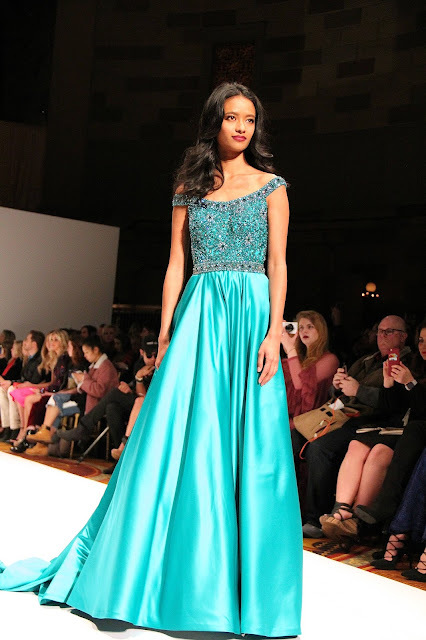 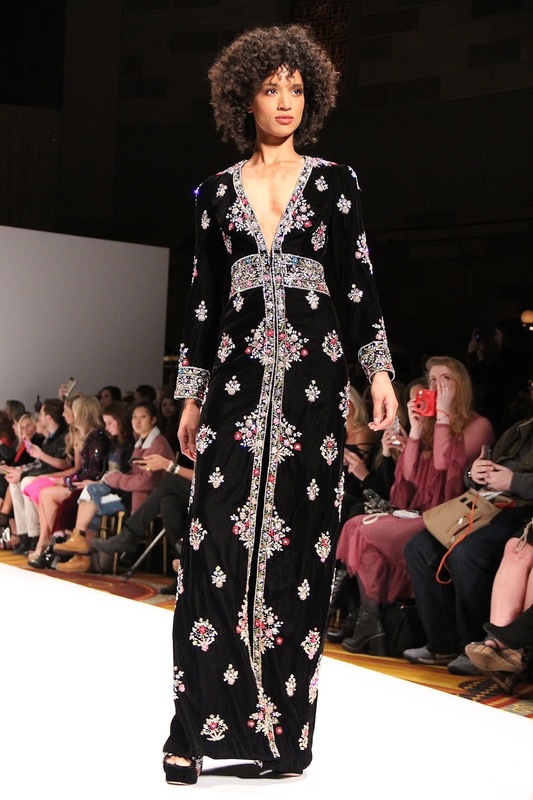 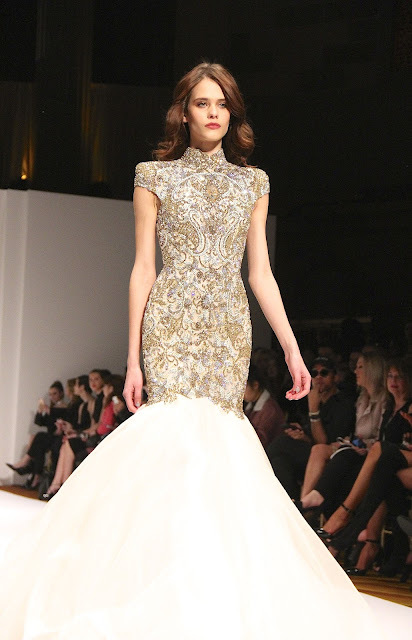 Sherri Hill Fall/Winter 2017 at New York Fashion Week took place at Gotham Hall, showcasing gorgeous evening dresses and gowns with beading, fringe, sequins, low plunging necklines and cut out details. 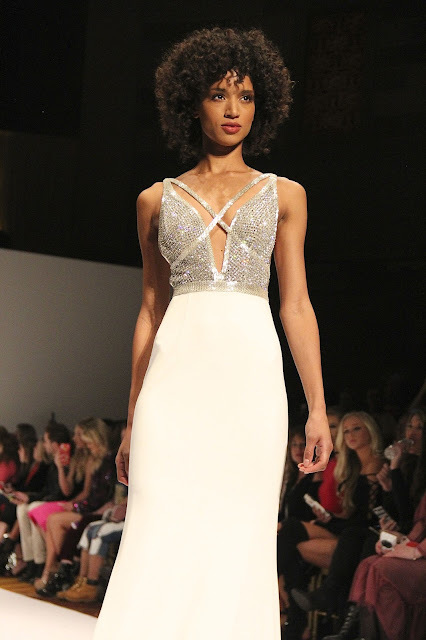 There were also separates consisting of crop tops and high-waisted skirts. Models walked the runway in teal, gold, silver and black.